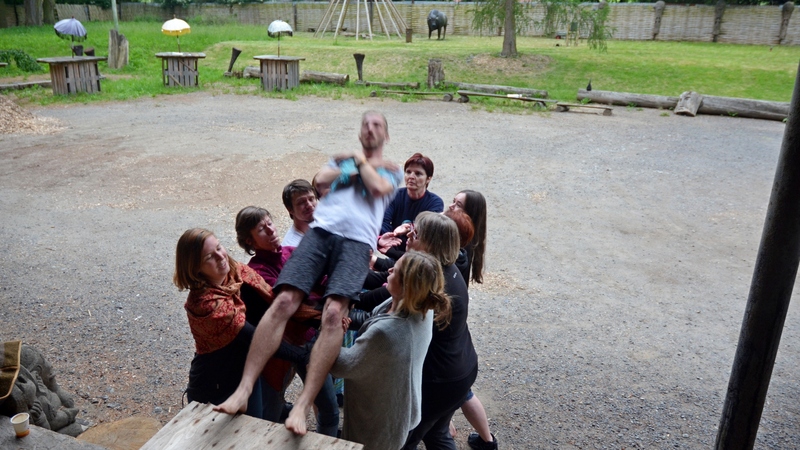 Firewalking is a certified method for shifting boundaries of an individual as well as with the whole teams. It is based on modern neuro sciences and the best practices of world wide renown top leaders in the personal development field. It is a first class workshop based on personal experience where a man overcomes the boundaries of possible and impossible on the physical obstacles and builds up his confidence, his energy and with a respect he makes his breakthrough into the new world of possibilities. In a single moment the mind, the body and emotions are connected and through a physical experience man remembers how to face his fears and caries this knowledge with him for the rest of his life. Man is facing stressful and challenging situations of crisis in a controlled enviroment. It is only on the limits of one’s comfort zone when the deep patterns of behavior emerge and it is in these kind of situations when these patterns either accelerate success or undermine the whole groups performance. Forget about motivational seminars as you know them and open up your self to possibility of experiencing a transformation through a fire. Mold your fears into a powerful fuel that will propel you and your team forward when facing a challenge. 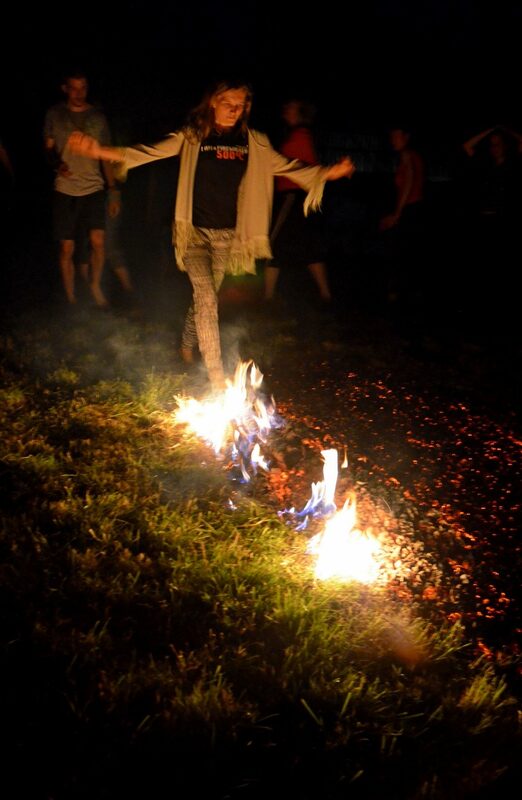 Firewalking is a half to full day filled primarily with action and experience through physical activities. After a short introduction into the psychology we work on a building up the energy levels of individuals and the group it self and after that we put all the theory into an action by confronting with the sharp, hard and hot challenges. 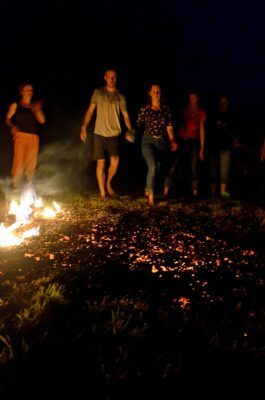 Before the actual walk through the 600°C hot coals the group goes through many activities that often are more challenging than firewalk it self. 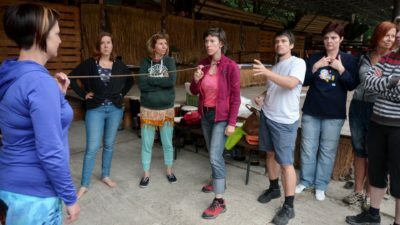 Participants find out how they react in critical situations on these preparation activities and also they get the opportunity to change their behavioral patterns in the midst of the action. 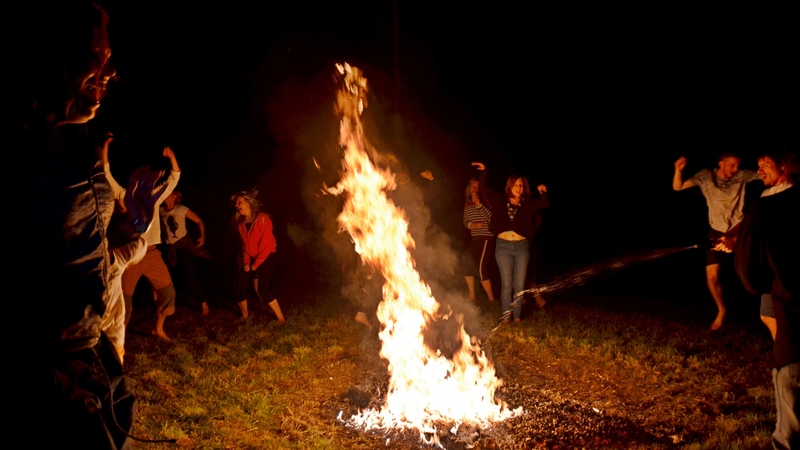 While no two firewalking events are the same, there is a body of activities that take place. 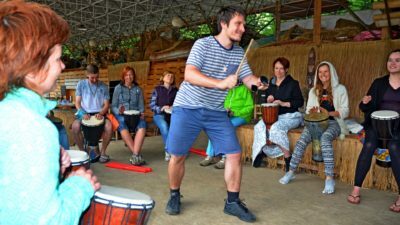 You can experience the introduction to the phenomenon of the brain and creating one’s reality and the science of fear, burning bowl ceremony, drum circle / team drumming, Sufi battle meditation, number of energizers, trust fall, glass walking, iron bar bending, wood board breaking, arrow snapping and of course the firewalking. There other activities as well that might take place depending on the time scheduled and the team composition. Firewalking is an exceptional program for team development as it strengthens up both the individual members of the team through expanding one’s limits and builds up self confidence as well as it melts social barriers between team members by going through the same experience and it also develops team processes like cooperation, support and trusting the team. Where can a firewalking event take place? Firewalking can take place almost anywhere and certain setups and environments simplifies the preparation process and can also help with it’s atmosphere. In general we require a room for the first part on the workshop and than we need need a place for the fire it self. Ideally that is a piece of leveled grass terrain with enough distance from trees and buildings. 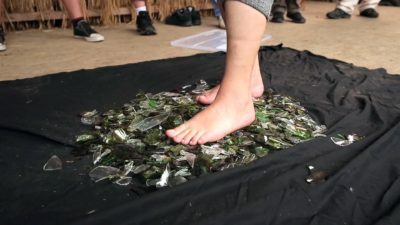 However it is possible to prepare the event with usage of grass carpets or layers of earth and metal barrels in places where the regular firewalk would be otherwise impossible, like in a TV studio or a garage. Still for the best experience we recommend we recommend the first option. Since we produce the firewalking event for many years we are able to provide you with a recommended locations that already held firewalking events. 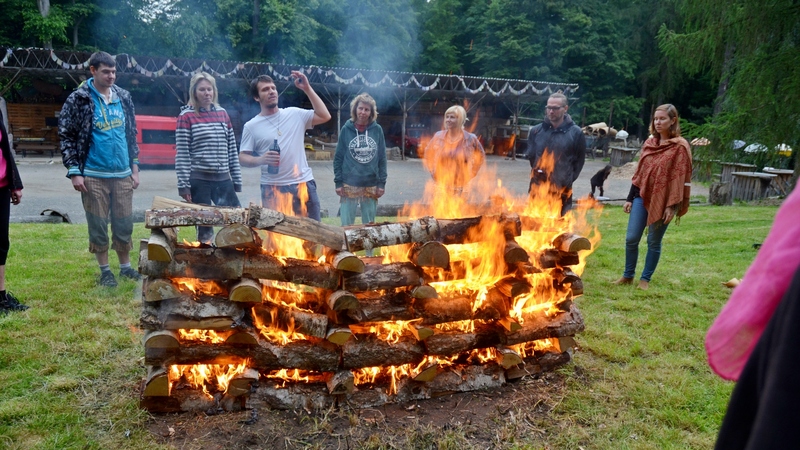 Throughout the year we prepare several public firewalking events in cooperation with our partners. 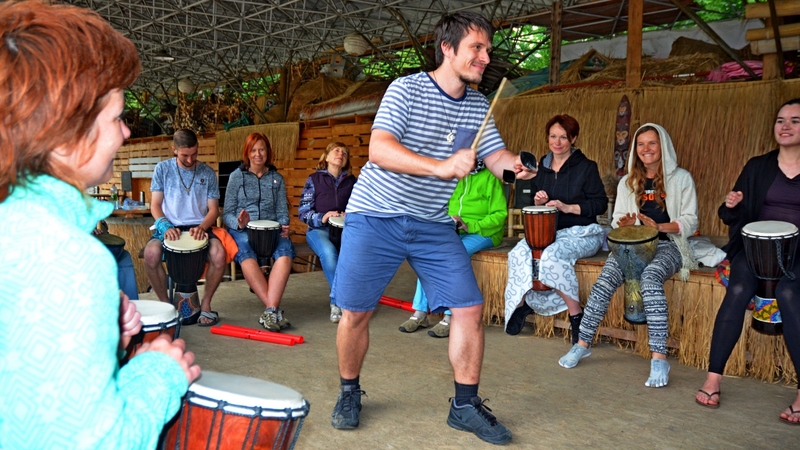 Events are accessible to the wide public, individuals, couples, families or groups. The conditions for participation in the event is full legal responsibility or being accompanied by a lawful responsibility representative. 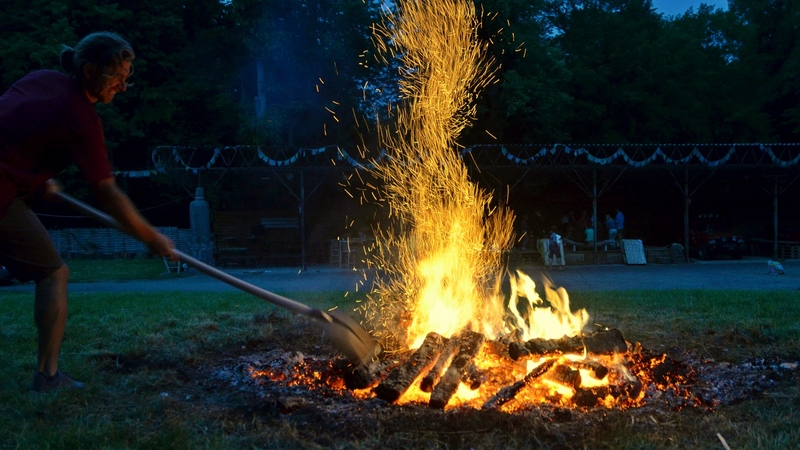 Do you want to experience the firewalking in your vicinity? You can recommend a promotion partner and we will be able to hold a public event.